My mom has always told me that I am one of the most impatient person she knows. I hate waiting for things, I want them to happen now! With my trip to Paris fast-approaching (103 days… but who’s counting?! ), my research and past experience in Paris has already lead me to a list, a pretty extensive list, of things I want to see, do, visit, and EAT! Some may call it being a keener, or eager, or enthusiastic, but I would consider this as being prepared… and super pumped!!! 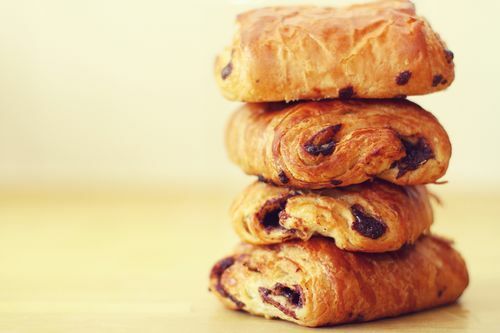 A croissant type pastry with chocolate pieces in the center was the way we started our mornings last time we were in Paris. I wouldn’t want to ruin the tradition now…. and especially since it compliments my morning latte perfectly..
Mussels are one of my favorite seafood. It’s unfortunate that my man at home does not like them (he hasn’t even tried them – pfff..) therefore I don’t make them as often as I would like. I’ll eat them in a tomato based sauce, or white wine garlic cream sauce, or even with beer and bacon. 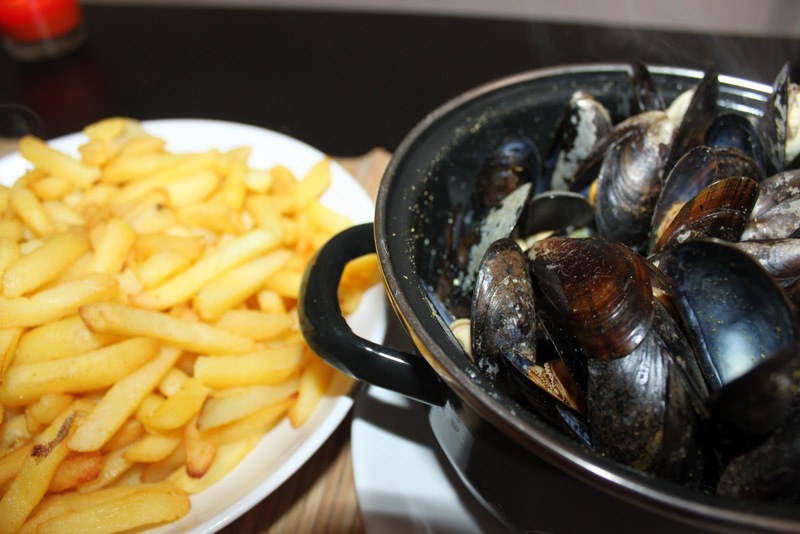 What I love about the French is that not only do they love their seafood; they serve their mussels with a side of fresh cut shoestring fries. What is there NOT to love about that?! 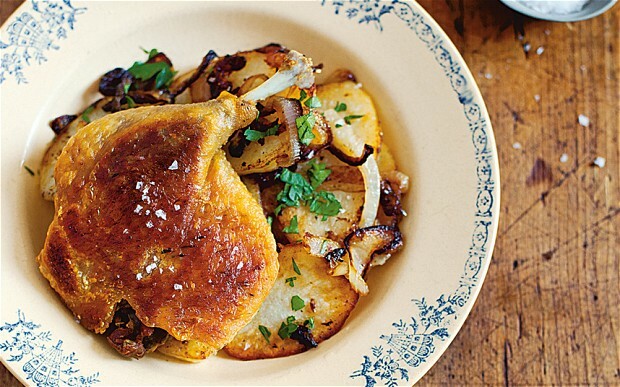 Duck Confit is a French dish made with the leg of the duck cured in salt and slowly poached in its own rendered fat – meaning instead of infusing it with booze or with fruit, you’re infusing the meat with fat and flavor. All I have to say is that the combination of the crispy skin and the juicy dark meat of the leg just tickle’s my fancy! Oohh! I can’t wait! Ok I know what you’re thinking; isn’t gelato Italian? 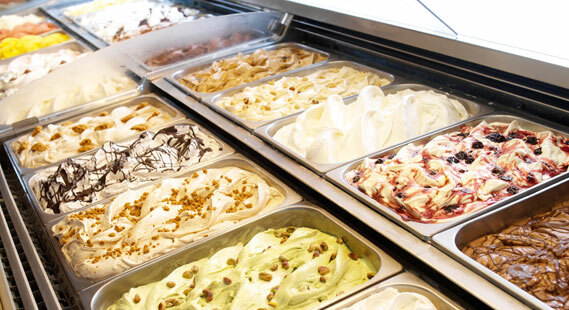 It is, but Amorino is this great gelato shop located in the Latin Quarter of Paris. I only have 3 words to describe this place… To-Die-For! I love these little bundles of goodness and I can definitely handle them better than Julia Robert’s did in Pretty Woman. My man can’t understand why or how I eat them, but how can I not? Yes they may look like little snots, but they are delicious. They really adapt the flavor of the garlic butter it’s drenched in and I love mine finished au gratin (with melted cheese on top). This is a warm Goat Cheese Salad. 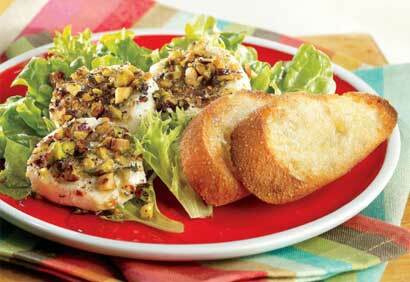 It is usually made by broiling the goat cheese on French bread, and is often served with a green salad. 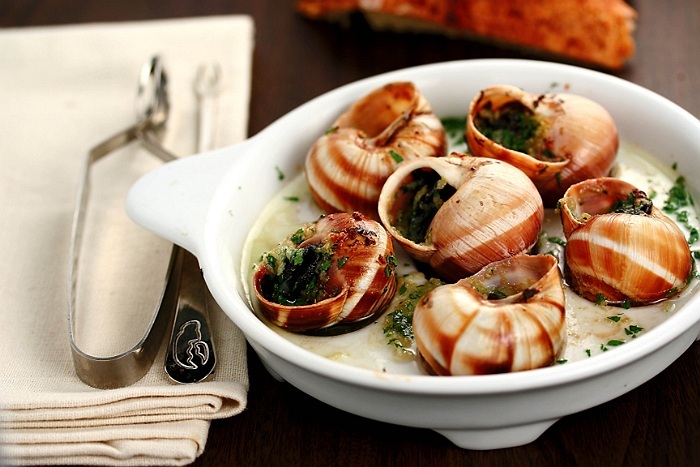 For a quick, light lunch, this and a bit of pâté with baguette is perfect – Let’s not forget the wine! The list can go on with succulent dishes like a Coq au vin, or Coquille St-Jacques, or simple sandwich like a Croque Monsieur, and even their famous Macaroons and pastries. Regardless what we do in Paris, there’s still one stop that I must visit while I’m there…. 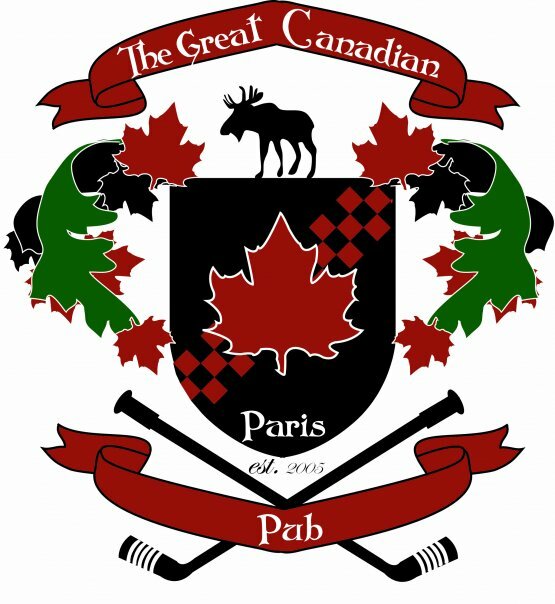 Why go to a Canadian Pub while in Paris?! Well it’s simple, when I want a Bloody Caesar – especially after a night of drinking too much wine – I need mine made with Clamato Juice, none of this tomato juice/Bloody Mary business! Do you think our pants will still fit when we come home?